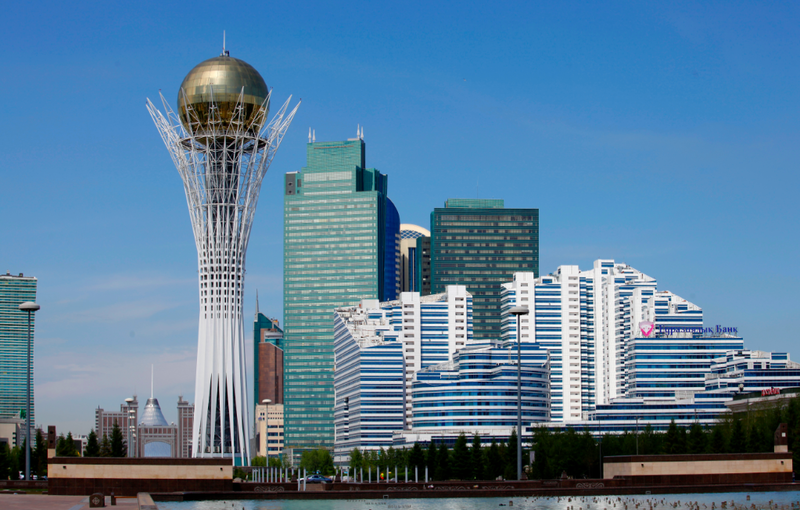 Primarily, the economic center of Astana was on the North Bank. 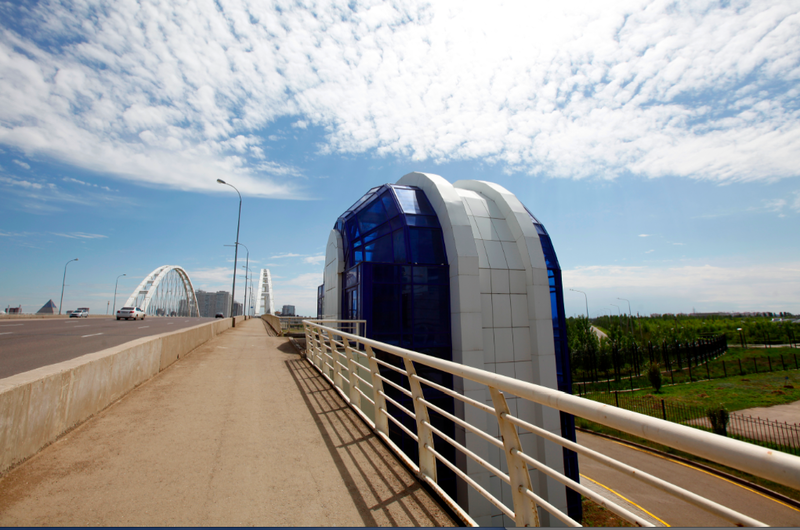 Now, on the South side, has been built from scratch a prestigious avenue, Nurzhol Bulvar, designed by architect Kisho Kurokawa. 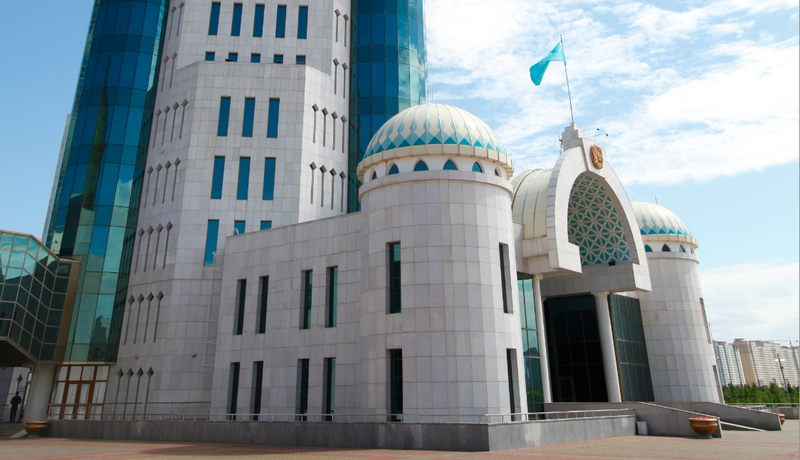 A West-East axis that gathers political institutions and companies headquarters. 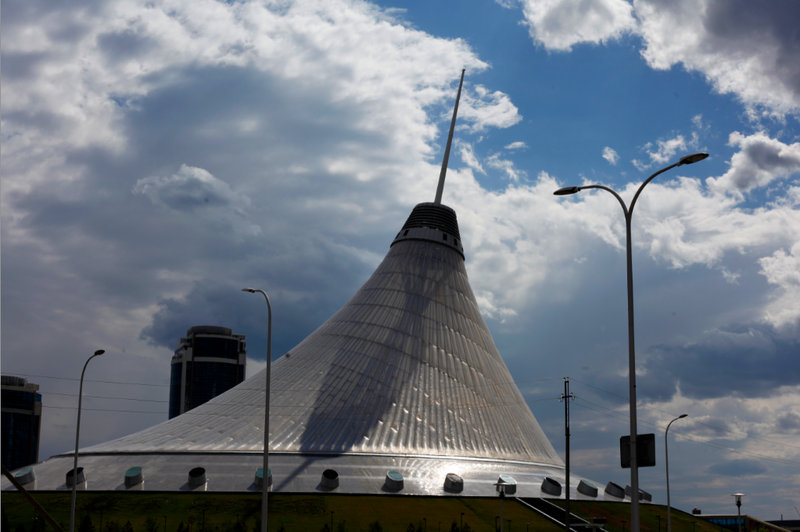 It starts on the West end with Khan Shatyr, a shopping mall imagined by Norman Foster, which shape reminds of a yurt, using a heat-absorbing material so that temperatures do not exceed 30° in the summer time. We are far from the original internal organization of yurts, were all pieces of furnitures were set according to celestial powers… Exiting the shopping mall, you get to see a circular plaza surrounded with arcade buildings that remind of Ricardo Bofil somehow, a mix of neoclassical elements and totalitarism proportions. 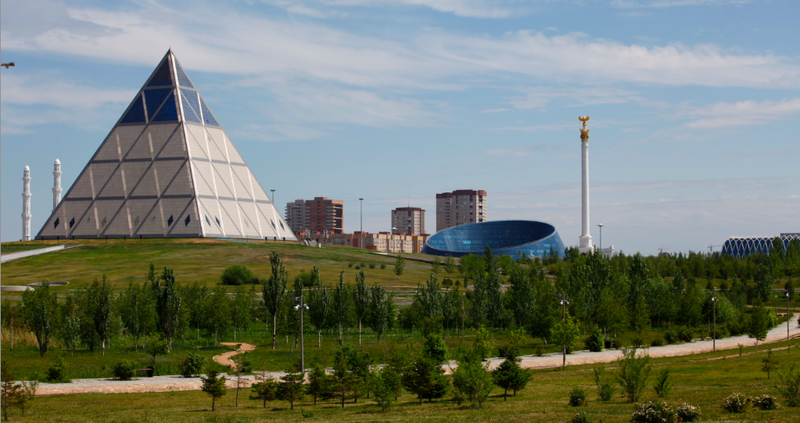 A line of central gardens and plazas leads to the 97m Bayterek monument, a white latticed tower crowned by a large golden orb. 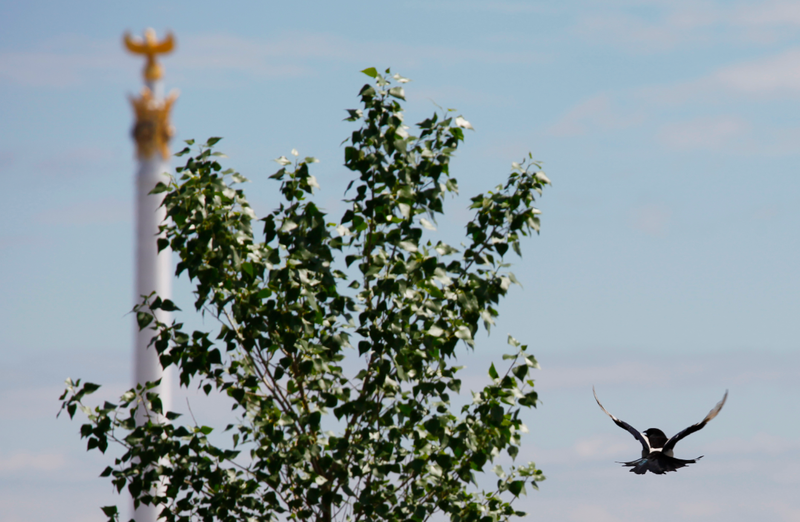 The Bayterek embodies a Kazakh legend in which the mythical bird Samruk lays a golden egg containing the secrets of human desires and happiness in a tall poplar tree, beyond human reach. 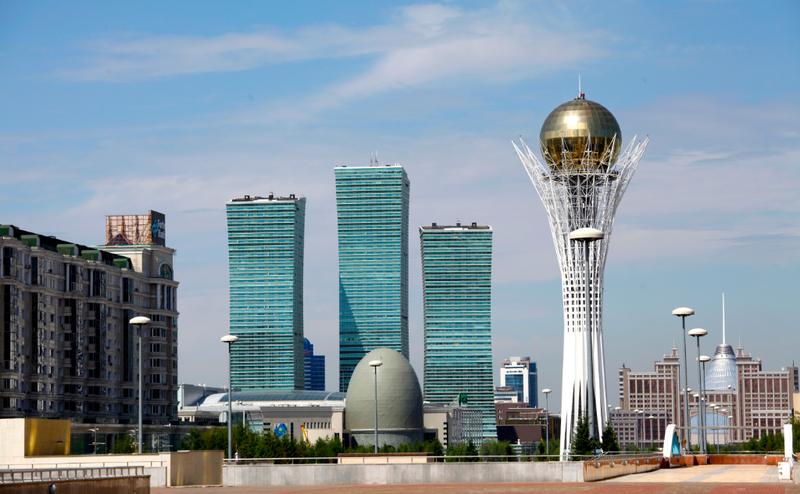 The top level features a gilded hand print of the right hand of Nursultan Nazarbayev, the first President of the independent republic of Kazakhstan, mounted in an ornate pedestal. A plaque invites visitors to place a hand in the imprint and make a wish… Next to the tower, the ovoid building you see shelters the national archives. 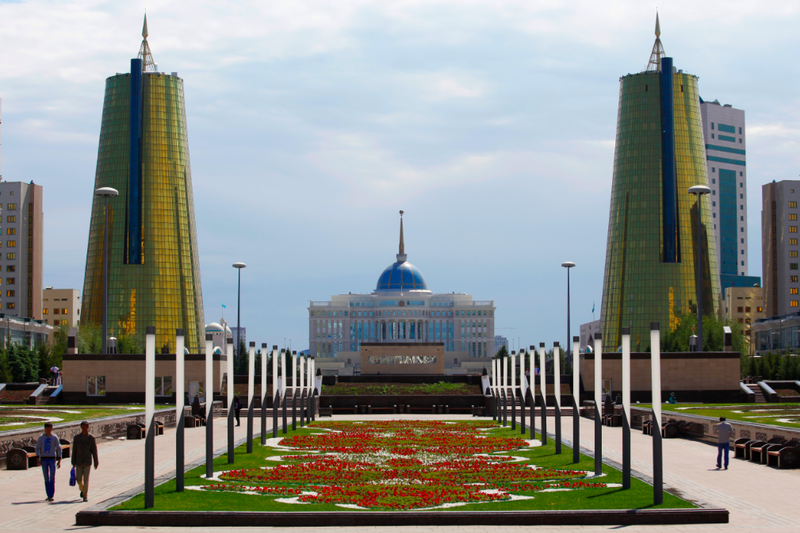 As you keep moving East, you pass by gardens and fountains that lead to the presidential palace. 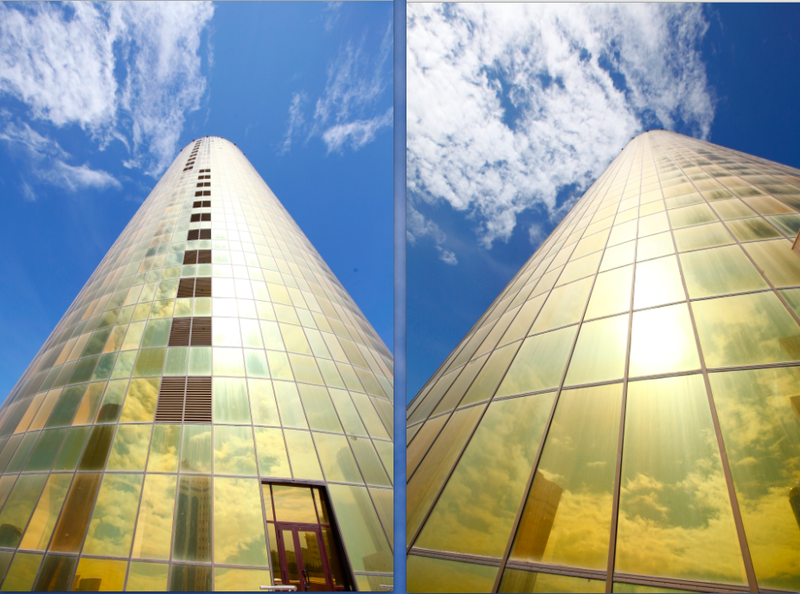 Those two golden towers reflecting he sky are two business centers. 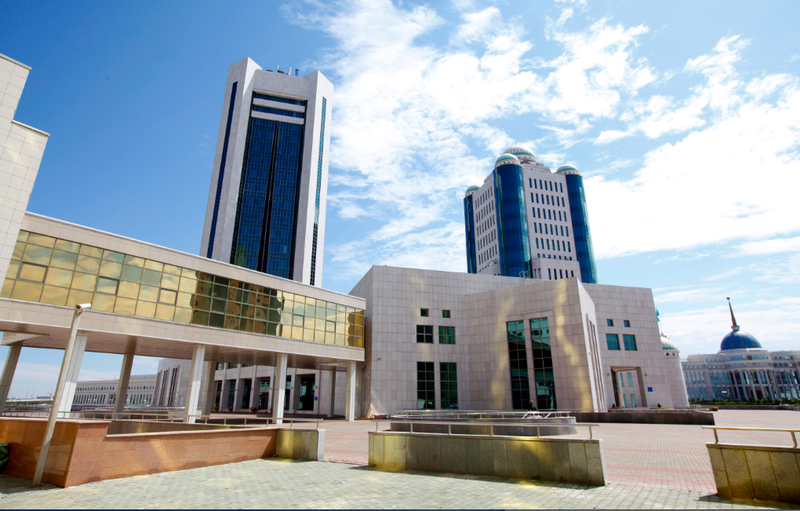 The left one is occupied by Samruk-Kazyna, a holding controlling most of the country public companies. On the left side, the senate. And the “Ministries House”. On the right side, the supreme court. 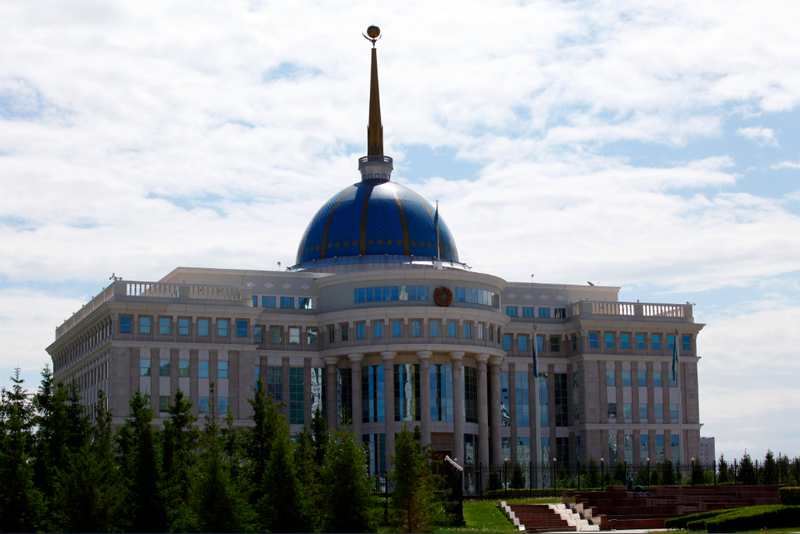 Then comes the Akorda, which means “the white horde”, in others words the presidential palace.It includes a blue and gold dome topped with a spire. This golden statue atop the dome includes a sun with 32 rays at its apex, and also includes a steppe eagle flying beneath the sun. Then, you keep waking under the sun, choosing either a bridge on the left or on the right side of the avenue, symmetrical and identical constructions… When you decide to walk through it seems a never-ending bridge but you get a beautiful view on the river, and you can admire the construction trucks ballet, as the city is still a work in progress. 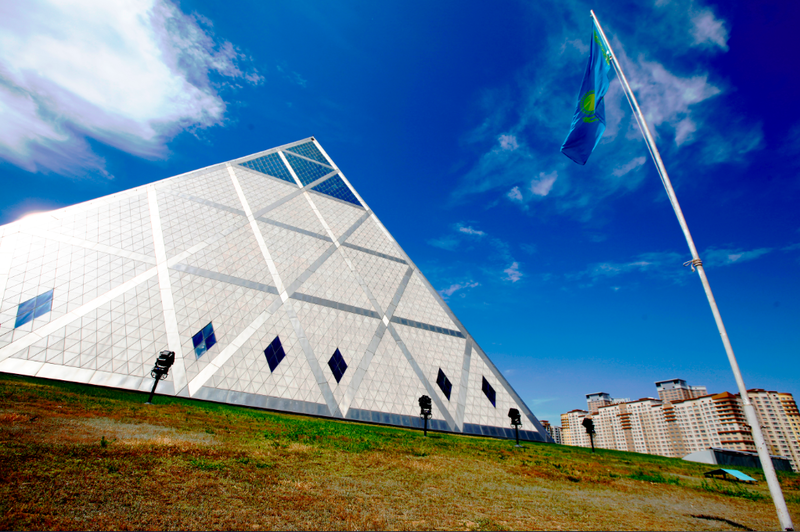 And then, as you reach the end of the gate, you get to see an unexpected building shape : a pyramid. And a circular weird thing. And a Napoleon-like column. It is starting to remind me of Enki Bilal’s Nikopol Trilogy ! I just couldn’t believe it ! 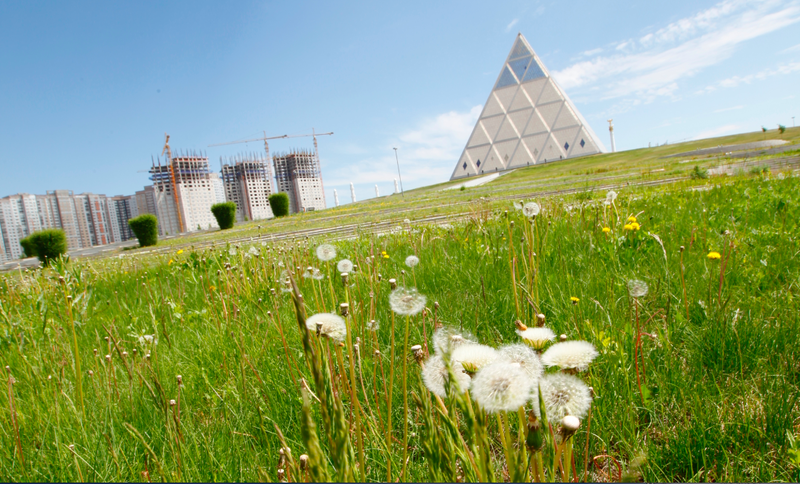 To reach the pyramid, I’ll have to go through a several hectares park, trees and lawn mainly, giving a welcomed breathe to the city. 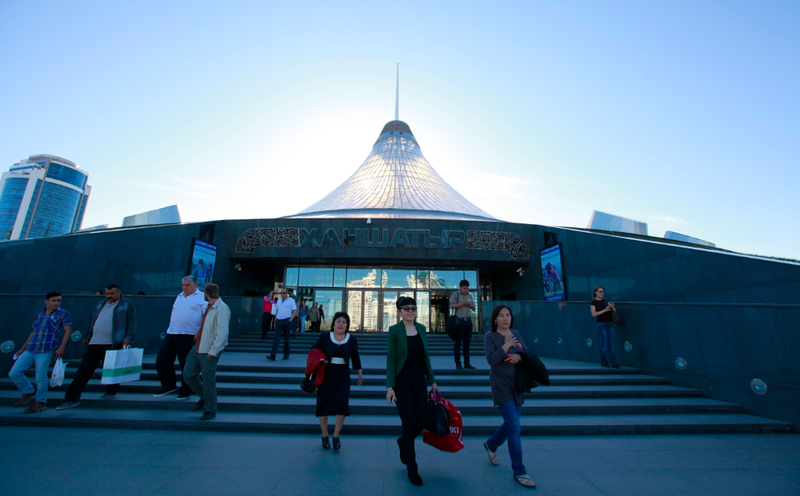 Called “Palace of Peace & Harmony”, this glass and steal pyramid was designed by Norman Foster to host in 2006 the “triennial Congress of World and Traditional Religions”… As you cross the 2×6 lanes street behind the pyramid, you get to reach an arcade and two contemporary blue buildings, dominated by this column. The base of the column shelters a 5mm height bronze statue of the President. 91 meters higher you get to see a golden eagle. You keep walking. 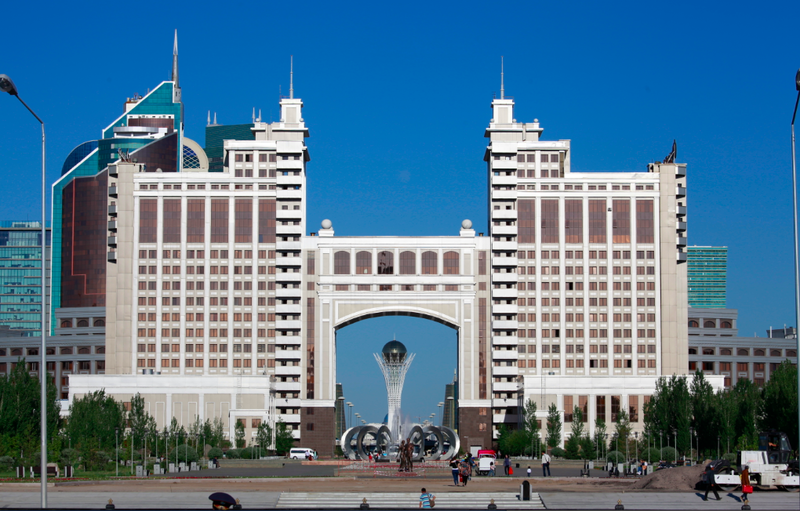 Behind the arcade you get to see a bronze sculpture named “Kazak Yeli”, meaning “Kazakh country”. 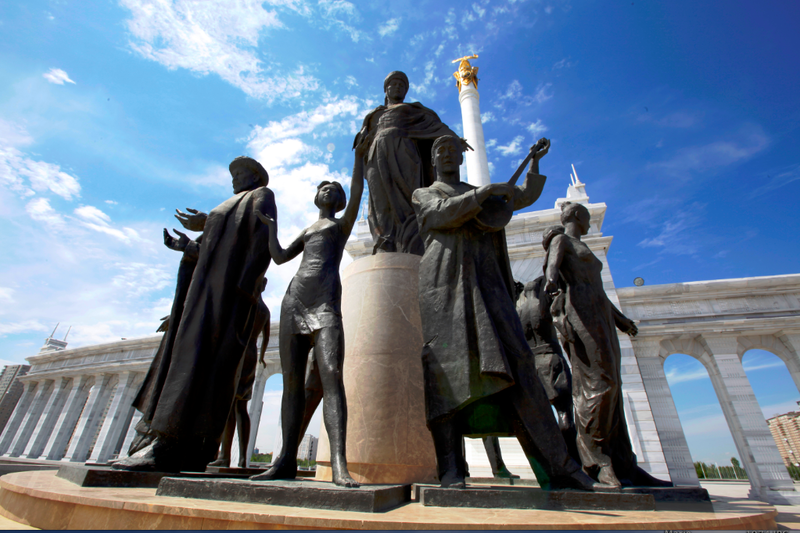 The selection of the figures as symbols in the monument illustrates how Kazakh leaders incorporated traditional Kazakh cultural symbols from their nomadic history as well as icons from their recent Soviet history. For now on, this is the end of the avenue. Is freedom ahead ? 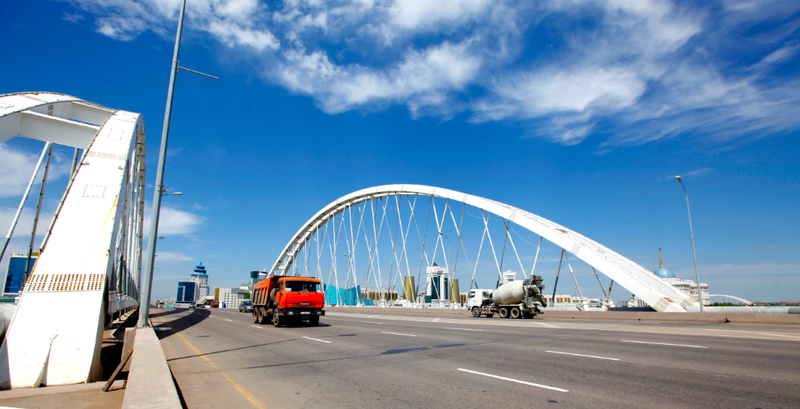 This entry was posted in Kazakhstan and tagged norman foster, Nurzhol Bulvar by Stephanie Nedjar. Bookmark the permalink.